Happy Easter! 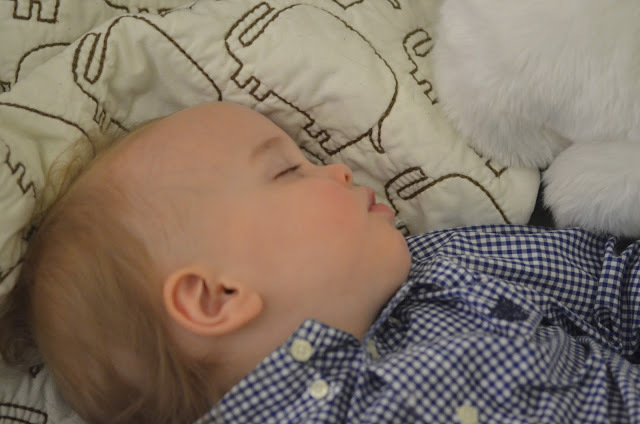 I will have some Easter pictures coming soon, but for now here is the sleeping Easter babe. After a full morning of brunch, grandparents, cinnamon buns, and presents, this little guy was exhausted. He turned to the stairs (while we still had guests over) and I asked him if he wanted to have a nap. 'Have nap', he repeated quietly, followed by 'go upstairs'. He has been the best sleeper... something I am always thankful for. His crib is starting to look a little small these days, but I'm happy to keep him in it for as long as he likes. Much better than worrying about an escape artist all night! 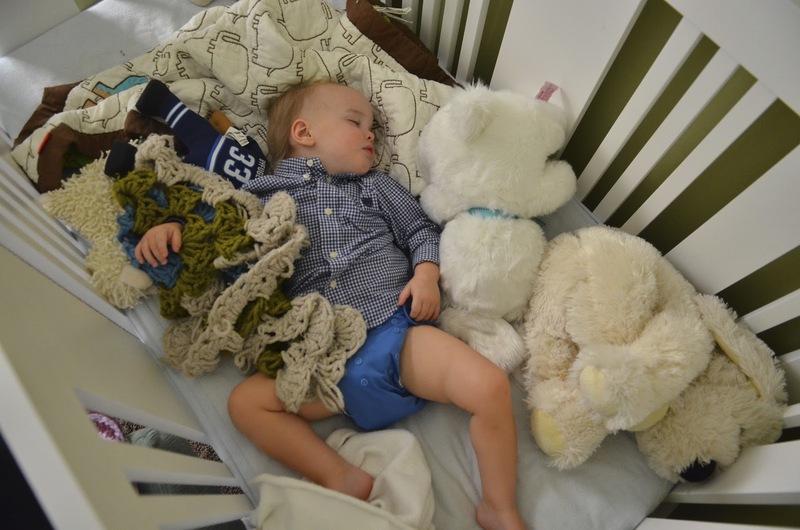 Oh so sweet and precious, love sleeping baby pictures! Happy Easter!